Nothing like fall book releases to make you want to run out and buy the latest novels, curl up in an armchair with a cup of tea and settle down as the chill begins to set in. This fall has a wonderful mix of established and new authors offering forth their literary efforts to readers across the continent. Their books will take you around the world, spanning continents and, in some cases, centuries. Some wild adventures, somber mourning, political spoofs and love lost and found again will bring you into fall. Jonathan Franzen’s much anticipated latest novel is a departure from his past works which focused on the American family. This one traces the journey of a political activist from East Germany and his American intern who follows him to Bolivia where they operate a media and government-watch organization. Isabel Allende’s story that spans the globe from Poland to San Francisco, during WWII, this story tells the tale of political refugee Alma Belasco and her unlikely romance with the son of a Japanese gardener in her aunt and uncle’s house in San Francisco. Ichimei, the gardener’s son, is sent away to a Japanese internment camp and they are never reunited but remain in each other’s thoughts over the course of their lives. Then Alma begins to receive gifts in her nursing home that are suspected to be from Ichimei. A story that interweaves politics, fate and passion. 4. The Heart Goes Last. It is as surreal as any of Margaret Atwood’s previous novels with the plot centering on a social experiment which allows couple Charmaine and Stan to live in a luxurious suburban home in exchange for agreeing to live in a prison cell every two months. While they’re serving their time in prison, another couple lives in their home. Eventually, the connection between the couples leads to feelings of sexual attraction, guilt and paranoia. 5. Two Years, Eight Months and Twenty-Eight Nights. Patti Smith’s follow-up memoir to her celebrated Just Kids, M Train traces the singer’s artistic path through narratives that span 18 subway stations across New York City. In this new memoir, Smith takes us to the cafes where she used to drink black coffee and muses about her thoughts on other artists such as Frida Kahlo, Jean Genet and Sylvia Plath. She recounts the tragic 1994 death of her husband Fred Smith and its long-standing effect on her. Lauren Groff’s third novel is about the twenty year marriage of Lotto and Matthilde. Already garnering raves by Publisher’s Weekly and one of the most popular books on display at BookExpo America, Groff’s novel about marriage, co-habitation, betrayal and heartache follows the arc of a long-term marriage. A comment on the beauty and hope of loving someone, as well as the tragic disappointments that sometimes come along with it. 8. The Story of My Teeth. National Book Foundation winner “Five Under 35”, Mexican writer Valeria Luiselli spins a mighty elaborate story of unparalleled traveling auctioneer Gustavo “Highway” Sanchez Sanchez. Set in Mexico City and following Sanchez Sanchez through more adventures than you could count, as well as racking up unusual talents such as imitating Janis Joplin and standing an egg upright on a table, the book gets its name from the fact that he’s planning to replace his teeth. That and the fact that he happens to be in possession of a pair of dentures he swears belonged to Marilyn Monroe. Fun, wacky and defined by Granta as “delightfully unclassifiable”, reading this novel is an adventure in itself. Celebrated Italian writer Umberto Eco offers a fascinating conspiracy theory about Italy’s famous dictator Benito Mussolini. Moving back and forth from 1945 to 1992, the plot revolves around the idea that Mussolini’s death may have been faked. The book features a love story between a ghost writer and a celebrity gossip writer who find a dead body in an alley in Milan. Theories begin to spin including the murder of Pope John Paul I, the Italian secret service and the CIA. The timing is right as 1992 marks the beginning of the truly tragi-comic era in Italian politics. 10. Man Tiger & Beauty is a Wound. They are written by Eka Kurniawan and translated by Labodalih Sembiring and Annie Tucker respectively. Eka Kurniawan has broken onto the literary stage with stories that evoke the oral traditions of his home village in Indonesia. Man Tiger is the story of Margio, a young man who is also half white tiger. Beauty is a Wound is about a prostitute who rises from the dead as set forth in the first line; “One afternoon on a weekend in March, Dewi Ayu rose from her grave after being dead for twenty-one years.” Both books have earned enormous critical acclaim for their originality and scope of human suffering and spirit. This entry was posted in Reading and tagged books fall 2015, must-read books on September 14, 2015 by Steve Aedy. 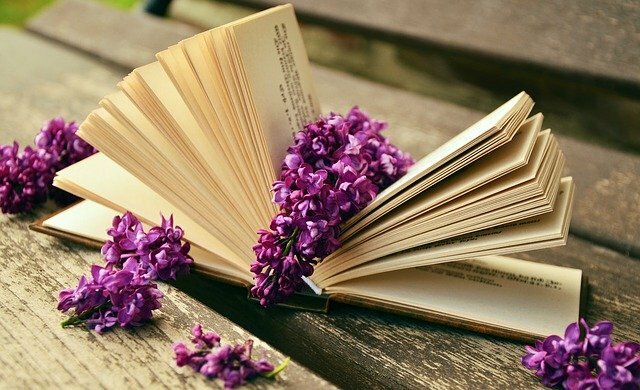 Is there any better time for a book lover than the summer? A body of water, a cool drink in your hand, and endless sunlight is the perfect backdrop for cracking the spine of a new book. 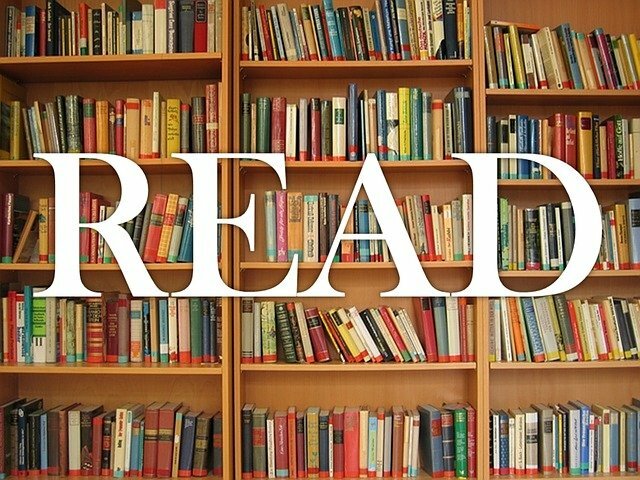 Below is our Summer Reading list, a mixture of fact and fiction for all bookish tastes. The romantic is sure to enjoy the latest novel by Susanna Kearsley, A Desperate Fortune, that offers two happily-ever-afters within its covers. Those looking for the chill of suspense on a hot day will enjoy Lori Roy’s tale of fate and families set in 1950’s Kentucky, Let Me Die In His Footsteps. And those looking for more emotional stories will find Scott Simon’s memoir about the loss of his mother, Unforgettable: A Son, a Mother, and the Lessons of a Lifetime, graceful and touching. These stories and many more beg to be read this summer. So grab some sunscreen and a beach blanket because it’s time to sit back, relax, and enjoy one of these engrossing tales. The latest book from Susanna Kearsley features a dual timeline: the first following Sara Thomas, an amateur code-breaker in the present and the second, Mary Dundass, an exiled Jacobite living in 1732 France. In present day, Sara agrees to break the code of Mary’s journal. It is believed to simply be the diary of an average woman living in the 1700’s, but all is not as it appears. To start, the diary must not leave its home in a French chateau. Between jobs, Sara agrees to live in the home as she decodes the diary. As we follow both women on their journeys, romance and intrigue will blossom for both. A book of both delicious romance as well as adventure this tale will definitely keep the romantic in you very happy. This novel, set on a posh resort island, holds a mystery. Once upon a time, a newly married couple was still on their honeymoon when something happened. Something so cataclysmic that the two managed to live on the same small island for sixty years and never exchange a single word between them. Now their own (unrelated) children find themselves star-crossed lovers and the web of their parents’ secrets lies in the way of their own happiness. This story delves backwards through the years, uncovering secrets and lies until finally the truth is revealed in all of its bittersweet and romantic glory. This work of historical fiction takes the reader to the last years of book piracy and the forgotten world of the Bookaneers. The end of the nineteenth century was a time of loose copyright laws where it was incredibly easy to publish a book without an author’s consent. Society was full of hungry readers and quick-fingered thieves who stalked authors and print shops hoping to lay their fingers on the latest manuscripts. With an international law looming that will end the era of the Bookaneers, this book follows the last great steal of this literary era. Following two rival Bookaneers and a furiously writing Robert Louis Stevenson to the island of Samoa, readers will live the adventure, triumph, and failings of a dying breed of pirate. This book is for the lover of suspense. The author, Lori Roy, is a former Edgar Award winner and this time she’s weaving a tale of spellbinding suspense following a girl of fifteen going on sixteen. It’s 1952 and on the night Annie Holleran is exactly fifteen and a half she runs through her family’s lavender fields into forbidden territory. It has been generations since a Holleran entered Baines’s land and Annie does so to seek her fortune in a well. But when the dead body she spies in the well’s dark waters appears in the daylight, Annie’s world will be forever changed. Knoll set out to write a book where the lead character was a female Don Draper and in her debut novel Knoll achieves that goal. We follow Ani FaNelli, a woman living a perfect life. Her job is perfect, her friends are perfect, her glamorous wardrobe is perfect, and let’s not forget about her rich fiancé…he’s perfect too. Ani was a bullied child whose experience at the hands of her private school classmates sparked in her a desperate desire to reinvent herself. But there is more than a bad childhood buried in her past – no, there is another secret. One more painful and private that is threatening to rise to the surface and mar the perfection that is Ani FaNelli. A memoir of strength and beauty, this book is a tribute to a dying mother, her memorable life, and the bond between mother and son. In 2013 NPR Weekend Edition Saturday host Scott Simon started tweeting from his mother’s hospital room, the tweets of a son dealing with his mother’s dying went viral. The 140 characters gained so much attention that when Simon’s mother finally passed, her death became national news. This memoir evolved from those tweets as well as Simon’s memories of his mother, a woman who lived a glamorous life in the era of Mad Men. This is an emotional read is sure to leave you fulfilled. This entry was posted in Reading and tagged 2015 summer reading, books to read, reading list on May 15, 2015 by Steve Aedy. 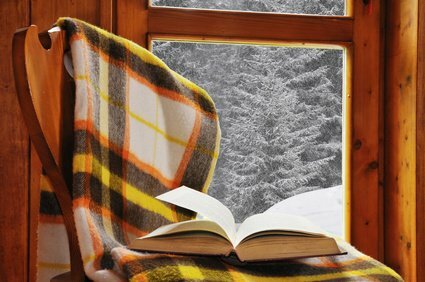 With the short days of winter having arrived, we’ve turned our attention to compiling a list of reading material to get writers through until spring. There’re lots of great books to choose from, so we’ve shortlisted this selection of 10 non-fiction books that are making their way up the bestseller ladder. Enjoy! A compilation of new and selected essays written with Ms. Lamott’s stylistic humor and self-deprecation, Small Victories offers insights into the human condition. Drawing from her own experiences with family and friends, Ms. Lamott connects with the reader at a deep, heart-felt level. With wit and intelligence, she delves into the trials and tribulations of daily life and gives us her stories as a vessel to shift our perspective from the “why me?” mindset to the one of gratitude and appreciation. Small Victories could be called Small Miracles as she invokes the grace of forgiveness with her charming storytelling. Engaging stories of American history’s visionaries and black hats, Mr. Beck uses his considerable storytelling skills to delve into the characters’ psyches. Using perspective to look back on these fascinating people and events, he shows how they affected not only their times but also the future. Each chapter centers around a person or historical event told in an anecdotal style, as Mr. Beck draws us into these spellbinding vignettes. History made interesting and exciting. Proponents of the new digital media landscape make promises of a utopian society with unrestricted communication, autonomous artistic expression and a cultural balancing of society. But Ms. Taylor challenges the presumptions that the new media is an improvement over the old guard, pointing out the contradictions contained in today’s technological consortiums – elitist control of access, surreptitious marketing, and an unrealistic emphasis on personal popularity. A savvy analysis of digital reality, The People’s Platform summons the reader to question the kind of culture and democracy we’re creating with our tacit agreement to cede power and control to the monopolies of the 21st century. Excellent reading for anyone who uses the internet. More than any other species on the planet, mankind alters the Earth in ways that compound change in a frightening manner, accelerating the destruction of the very forces that support life here. A sobering and disturbing subject, Ms. Kolbert reports with clarity the hard science and historical concepts behind the impact humans are having on our environment and ecology as a bona fide, destructive geological force. Told with scientific exactness, wit and lucid prose, The Sixth Extinction reads like a good thriller – enthralling, compelling and gripping. An important and enlightening read for our times. A best-selling novelist, Mr. Shteyngart’s memoir is full of humor and pathos as he explores issues of ethnicity, immigration, integration and creative expression. Refreshingly free of blaming others for life’s foibles, Mr. Shteyngart exposes his every wart and floundering efforts to fit in with droll candor. The descriptions of his outlandish family and the cultural ridiculousness of both the old world and the new, are poignant and heartrending. A wonderful foray into the alchemy of turning misery into art. Peak performance trainer Brendan Burchard has delivered a towering work that will shake even the most lethargic out of their familiar comfort zone. The Motivation Manifesto urges us to reclaim our personal power by overcoming the twin demons of external, social oppression and our own inner resistance of self-doubt, fear and daily distractions. Much more than the trite euphemisms found in a majority of self-help books, Mr. Burchard provides deep psychological insights combined with wisdom that will inspire you to think carefully about accepting mediocrity for one more day. From the fascinating world of true crime, Monster is a well-researched and compelling account of repeat offender Thomas Luther and the dogged pursuit by Detective Scott Richardson to bring him to justice. The reader gets to know both sides of Tom Luther, as well as the other characters involved, as Mr. Jackson skillfully guides us through their motivations, insights and fears in this compellingly well-written case study. Pulp fiction comes to real life in this wonderfully bizarre tale of Wonder Woman’s creator, William Marston, who is equally famous for the invention of the lie detector. Racy, colorful and improbable, Ms. Lepore investigates the contradictions behind the man responsible for one of America’s leading icons of feminism. In The Empathy Exams, Ms. Jamison delivers an exquisitely written series of essays on pain -emotional, psychological and physical pain, and asks primary questions about the reality of pain itself. Penned with humor and keen insight, The Empathy Exams offers a peek into out mind’s inner workings in relation to the way we judge and relate to empathy. Philosophical and passionate, it’s a moving attempt to guide us into being more generous and genuine in the manner in which we relate to ourselves and others. Funny, entertaining and strangely heart-warming, What If is written in a breezy style with quirky sketches illustrating the mathematical and scientific points outlined in Mr. Munroe’s explanations. He offers scientifically sound answers to strange and inane questions (many of which he receives at his science Q&A blog) in a way that makes science fun and approachable. Not your typical science and technology textbook. 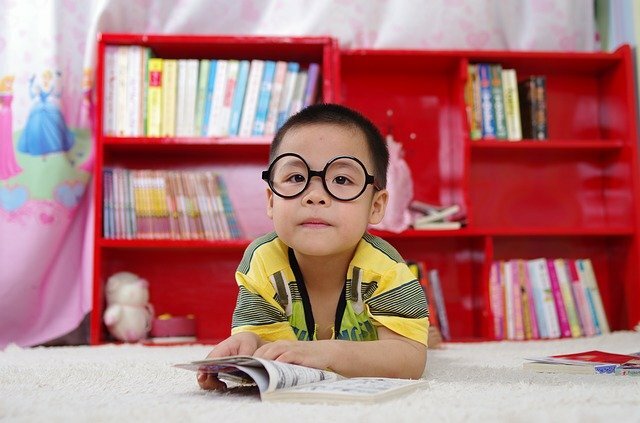 And there you have our selection of 10 non-fiction books to read over the long winter months, ones that will hold your attention and entertain. Some science, a bit of true crime, a dash of philosophy and the wacky origins of Wonder Women… showing that truth really can be stranger than fiction! This entry was posted in Reading and tagged non-fiction books, to read this winter on December 6, 2014 by Steve Aedy.